Yarn, the basic unit of fabric is the major component that is responsible for the finished quality of the knit fabric. Different types of yarns have different characteristics that should be taken into account when buying them. Fibre may be referred to a tiny hair while the filament is the long strand of a single material. Individual filaments or fibres are wound together for making the threads of different patterns. Natural fibres from different materials like silk from silkworms, wool from the sheep and linen or cotton from the plants are used. Synthetic or the man-made fibres from different materials like acrylic, nylon or polyester are also used. Manufacturing of yarns is known as spinning that is done manually or with the machines. Different types of yarns are used for these processes. The ones used for weaving need to have tight twists, lengthwise strengths and smooth surfaces while the ones for knitting have to be loose enough as regards the twists. Types of yarns - There are the carded yarns that are considered to be the most inferior types. Contents of more nips and more short fibres in such yarns defame them. Then there are the combed yarns that are admired for their superior qualities. Free from any nips or short fibres etc, these yarns are in more demand across the globe. It is not possible to manufacture the combed yarns without undergoing the combing process and that is the reason that these are known as combed yarns. The third is the semi-combed yarns that are manufactured by mixing some combed slivers. Textile yarns may be defined as strands of natural or synthetic fibres or the filaments. 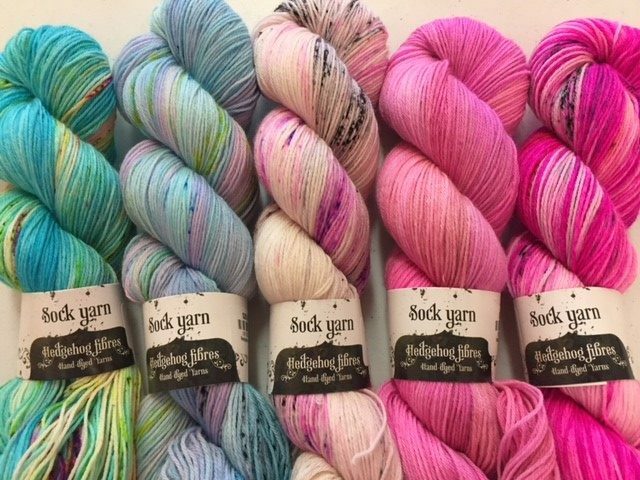 Buying tips – Those in the market to procure yarns should assess their specific needs. Make a list of the items that you wish to prepare with the yarns. Seek assistance from your relatives or other known guys to buy the special yarns of your own choice. Go through the newspapers or click the mouse and access the prominent manufacturers and suppliers. Call the representatives of a few companies and have detailed interaction with them. Do not ever buy poor yarns as they may not prove their worth for different projects. Beware of the dishonest vendors that may dupe you with substandard materials. Always focus your attention on the quality of yarn and not just the price alone. Better pay some extra dollars to procure good material.